Kevin, Bob, and the other one (species: minions), are getting a theatrical sequel to their 2015 solo debut, Minions. The movie will be released over the July Fourth weekend... in 2020, according to Polygon. 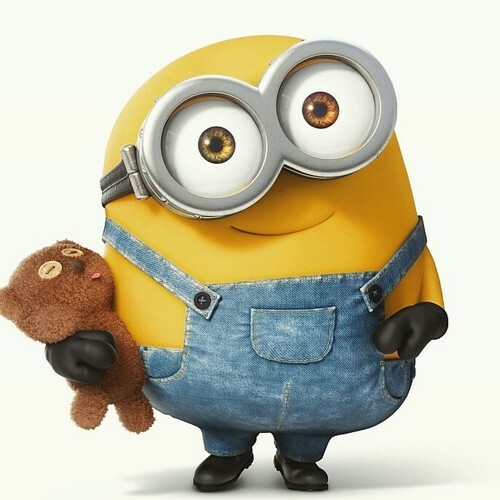 Many people, I have discovered, do not like the Minions. They find their squishy language, poor eyesight, and commitment to denim overalls distasteful. This is wrong. But July 4th, 2020, is more than three years away. Minions are inescapable, and if the 2003 movie Elf taught us anything, it’s that even the most annoying creature can ingratiate itself to a group of people by simply refusing to ever leave. Minions don’t age, nor do they seem to die. They’ve been in existence since prehistoric times, and they always look the same. However, they are bald. Minions can survive in space. There are 719,000 Google search results for the phrase “minion tattoo.” There are only 468,000 Google search results for “N’sync tattoo.” Deductive reasoning would lead a logical person to conclude that minions have a more permanent standing in history than a ‘90s boy band with two No. 1 singles. Take a moment before closing this tab to check in with your feelings while looking at this picture of sweet Bob. I thought so. This article originally appeared at: http://www.theverge.com/2017/1/27/14415006/minions-sequel-movie-2020.